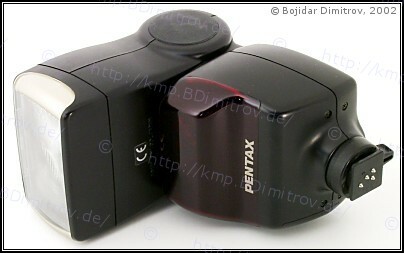 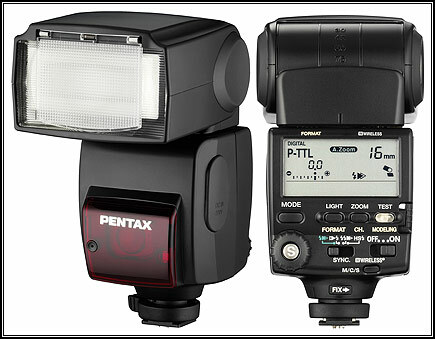 All AF flash units use a digital control interface, and therefore are usable only with the Pentax AF bodies. 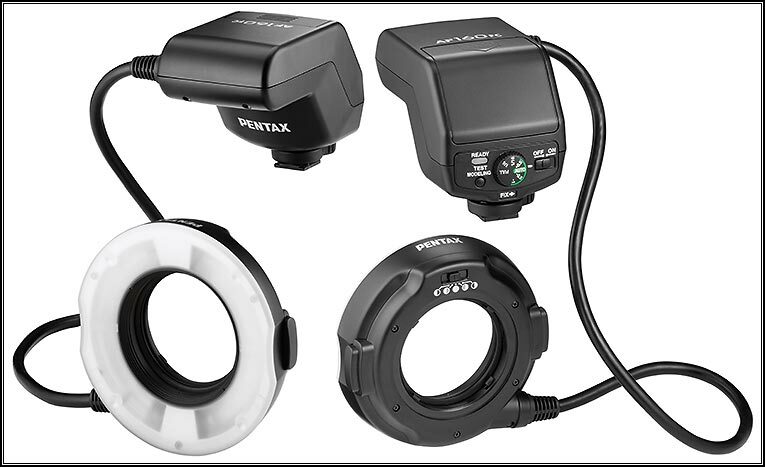 They are all capable of trailing shutter sync and AF spotbeam projection. 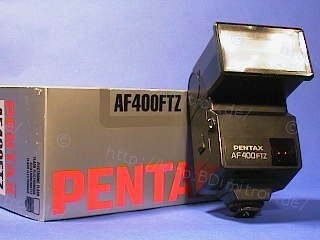 All flashes were sold with leather-like vinyl cases. 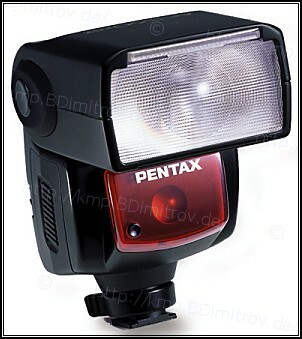 i = For coverage of a 20 mm lens, slide the built-in wide-angle panel out and down in front of the flash head.